Originally wanting to become a dentist, Kevin realized early on the grocery industry was a perfect fit for him and that he had a knack for overseeing the operations of the family business. Along with being awarded Grocer of the Year in 2011 by Washington Food Industry Association, Kevin was awarded the National Grocers Association & Washington State Food Dealers Association Spirit of America Award in 92′, Excellence in Business Award from the Thurston County Chamber 2013-14 and Olympia Downtown Association Person of the Year award for 2013-14. He’s currently chairman of the Northwest Grocers Association, serves on the board of the Thurston County Chamber of Commerce and a former chair of the Olympia Downtown Association. His favorite part of his job is being able to give profits of the company back to the South Sound community in as many ways as possible. In his spare time, he loves to travel and spend time with his lovely wife and awesome son. Need to get in contact with Kevin? Always knew he wanted to follow in his grandfather & father’s footsteps, Greg started working in the stores at age 12 as a stock boy. He now oversees Human Resources and store operations for the company. 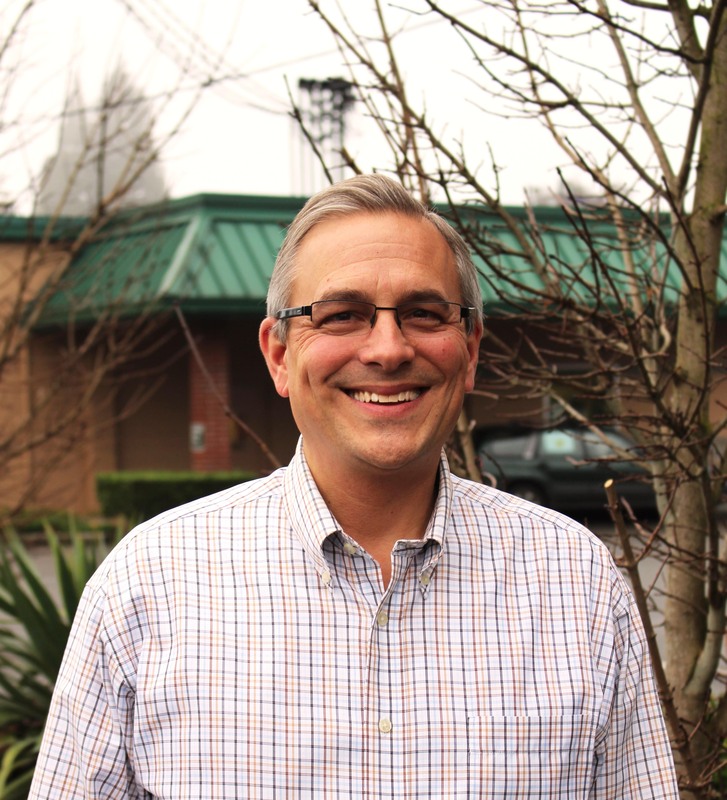 Active in his church and community, Greg was chairman of the Board of Providence St. Peter Hospital from 2008 to 2010, former Chairman of the Board of Directors of the Thurston County Food Bank, Past President of Thurston County Chamber of Commerce, and Leadership Thurston Country Graduate. Greg and his wife, Cristina, served as the Chairs for Christmas Forest in 2008 and 2009, Thurston County’s largest auction which supports the Providence St. Peter Hospital Foundation. He enjoys spending time with his family including his three wonderful kids, playing tennis and rocking out on the drums. Need to get in contact with Greg? Founder Ralph Stormans’ only granddaughter, Charelle has been working at the grocery stores since she was barely able to see over the bakery counter. Now Charelle oversees all Labor & Industries side of the business as well as the operations of the Bayview School of Cooking. She loves spending time with her husband of 30+ years and her two amazing sons that she can’t get enough of. Feeling strongly about giving back to her community, Charelle dedicates most of her spare time to a local youth basketball program, helping to coordinate fund-raising efforts and tournaments for the players. Need to get in contact with Charelle? Her office hours are Tue.-Thurs. 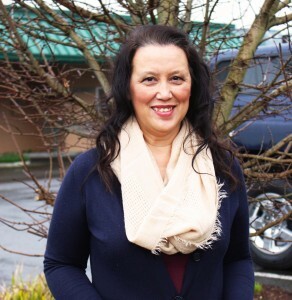 Celebrating 25 years with Stormans, Inc. Rose is superwoman in the office, making sure everything from payroll to accounts payable are done right. Her constant smile and lovable personality make her a pure joy to work with. Known simply as ‘Grammy’ by her eight grand babies; Rose is an awesome cook, loves spending time with family and looks forward to warm weather when they take the family boat out. Need to get in contact with Rose? Penny’s proudly been at Stormans, Inc. since 1999. Besides being a master organizer of all things office related, Penny keeps us laughing with her witty sense of humor and fun personality. 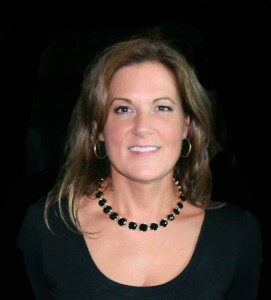 She has two sons and a daughter-in-law she adores, a husband and in her spare time, enjoys dancing on a local dance team. Need to get in contact with Penny? Proudly one of our longest working employees, Tim has been with Stormans, Inc. since 1972. Tim works hard at getting everything priced correctly at Ralph’s & Bayview Thriftway as well as being our IT support superhero. He enjoys spending time with his lovely wife of 44+ years, their two beautiful daughters and five awesome grandsons. Being an avid fitness junkie, you’ll find Tim at the gym every single morning bright & early while most of us are still snug in our beds. Need to get in contact with Tim? 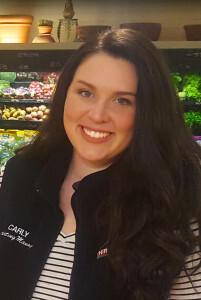 Carly has been with Stormans, Inc. since 2013. She usually has a camera in hand; documenting the companies events or busy designing promotional material. She enjoys mananging the Stormans brand. When not in the office, she loves spending time at home with her husband, two sweet boys and baby girl. She loves to bake, ski & be outdoors. Need to get in contact with Carly?